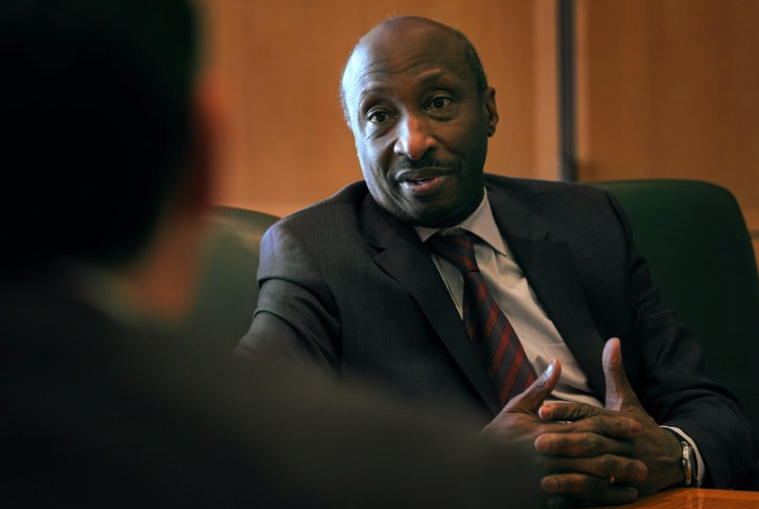 CEO, Ken Frazier, Merck & Co., who said recently that "corporations have a soul." See below. THE TITLE OF THIS BLOG IS MEANT TO BE PROVOCATIVE: What the heck is spiritual intelligence, and who says anything relating to spirituality has anything to do with business? Here is my thesis: As much as we like to think the conduct of business is a rational exercise beset by human foibles, it's more the case that businesses are human enterprises striving to be rational. One has to be blind, crazy, and stupid not to see that the best businesses are those that make the best use of their most expensive assets: people. In utilizing their human assets well, the most admired companies tend to do a better job than others at attending to at least three aspects of human life: body, mind, and spirit. Companies tend to the body when they honor OSHA regulations and provide ergonomic computer stations. They engage the mind fully when they employ management processes that bring out the best in individuals and groups. Much of this is easily replicated, but the best companies set themselves up as almost unmatchable when they tend to the spirit. We could all learn more from them. We don’t have to go much farther than the annual list of Best Places to Work in seeking examples of companies that attend well to the human spirit, although, to my knowledge, they don’t use words like spirit or spiritual intelligence, or spirituality in describing their approach to managing people. But they’re doing something special: In such companies, employees in great numbers say they regularly experience enthusiasm, respect, compassion, kindness, trust, and generosity, that they have a willingness to be open to others’ ideas, a desire to tell the truth and deal authentically and constructively with differences. Employees in these companies say they feel that they are a meaningful part of a community that values them. If this isn’t tending to the human spirit, I don’t know what is. For example, Best Place to Work company SouthWest Airlines, whose business model lives and dies on teamwork, teaches its employees how to deal constructively with conflict and repeats the training on a mandatory basis every year for every employee. Outreach, a software company provides paternal leave among other benefits and has been named a best workplace by Inc. and Seattle Business Magazine. Another software company, QASymphony, creates win-wins with employees by using what they call the “tour of duty.” These are non-binding agreements that define what employee and manager want the employee to accomplish over the next two years in terms of contributions and career accomplishments. This is all well and good, but if I’m a hard-nosed business person, I am going to care less about how employees perceive the company than how the company performs in the marketplace. So how do those “Best Companies to Work For” stack up? It turns out that they differ from the others in at least seven ways. Receive more qualified job applications for open positions and experience a lower level of turnover. Experience reductions in health care costs: Happier, more satisfied employees get sick less often. Enjoy higher levels of customer satisfaction and customer loyalty. Consistently outperform others: $1,000 invested in the Best Companies ten years ago returned $8,188 vs. $3,976 invested in the Russell 3000). Let’s now move to consider spiritual intelligence. Business leaders daily face different types of problems for which they use specific types of intelligence. What we usually think of as intelligence, IQ, is used in solving problems of logic and analysis (e.g., strategic planning, forecasting, supply chain optimization). Thanks to Daniel Goleman and others, since the 1990s we now understand that we draw upon emotional intelligence (EQ) in dealing with those business challenges that pertain to human relationships (e.g., influence and negotiation). Recent research, however, suggests that many organizational problems can be addressed and resolved only with a third form of intelligence, i.e., those pertaining to values, meaning, and purpose (organization development, ethics, social responsibility). Some researchers are calling this spiritual intelligence or SQ. The best leaders are attuned to the human spirit. In a NYT interview in March of 2018, Ken Frazier, CEO of Merck and Co., entitled "Merck C.E.O. Ken Frazier on Death Row Cases and the Corporate Soul," said, "There are lots of examples of companies that have lost their way because they’ve sort of lost their soul, which is a funny word to use, but companies do have souls." He said that his job is to nurture and tend to that soul. He did not use the term spiritual intelligence, but the capability he employs while doing this part of his job, in my terminology, is spiritual intelligence. I am working with a local, prominent university business school in planning a conference on the subject of this blog. If you are interested in knowing more about it or possibly working with myself and others to make it happen, let me know. Related blog: What is Spiritual Intelligence and Does It Have a Place in Business?